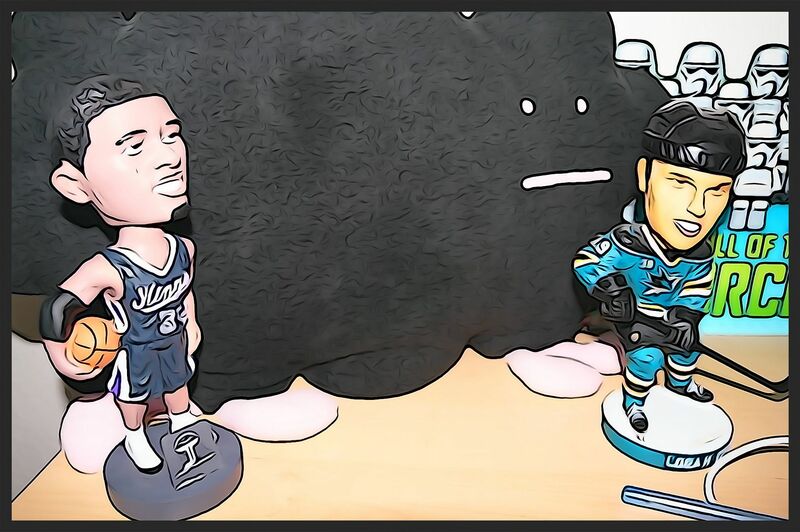 Today's Cardboard Commentary will feature a creative idea from Youtube user cn2117HabsFan. He has used decoys found in packs of cards to create his own custom cards. I've seen many custom cards since I got back into collecting... many of which are awesome... but his take on them was particularly unique to me. Let's check out what he has done! 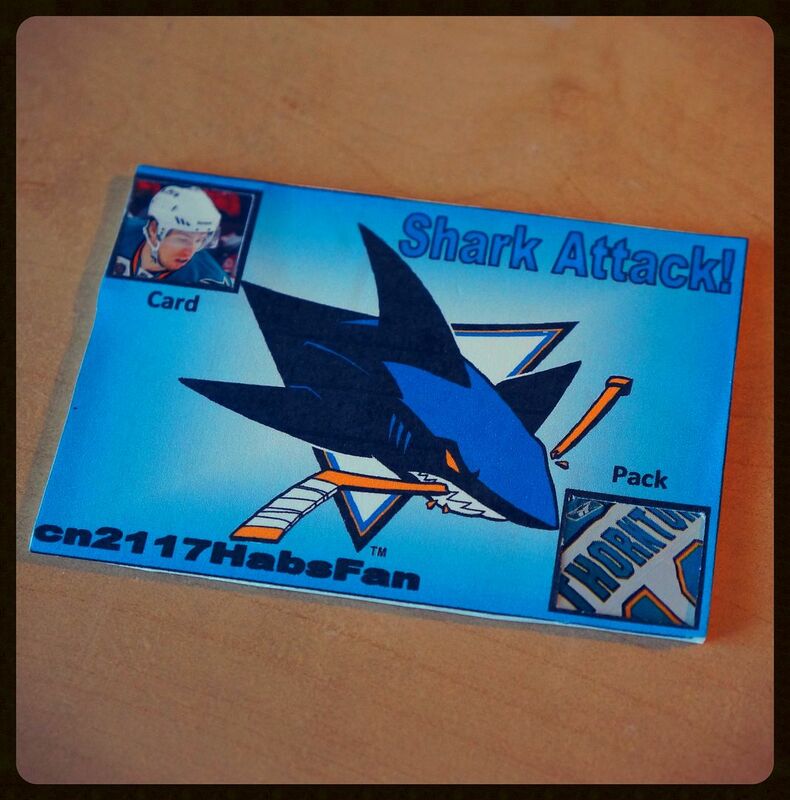 Above is a Sharks custom card that cn2117HabsFan sent me in a recent trade that we made. At first glance it looks like a typical custom card made by printing out a design on paper and affixing it to a decoy. Even if it were just that, the card looks pretty sweet and clean. But what takes this card to the next level is that it has actual pieces of the hockey card hobby embedded into it. You'll notice the word 'Card' below the image of Logan Couture in the upper left hand corner and the word 'Pack' above the image of Joe Thornton's jersey nameplate. Well, those are not just images that have been printed out, but rather they are actual pieces of a trading card and of a foil pack that have been carefully cut and affixed to the custom card. 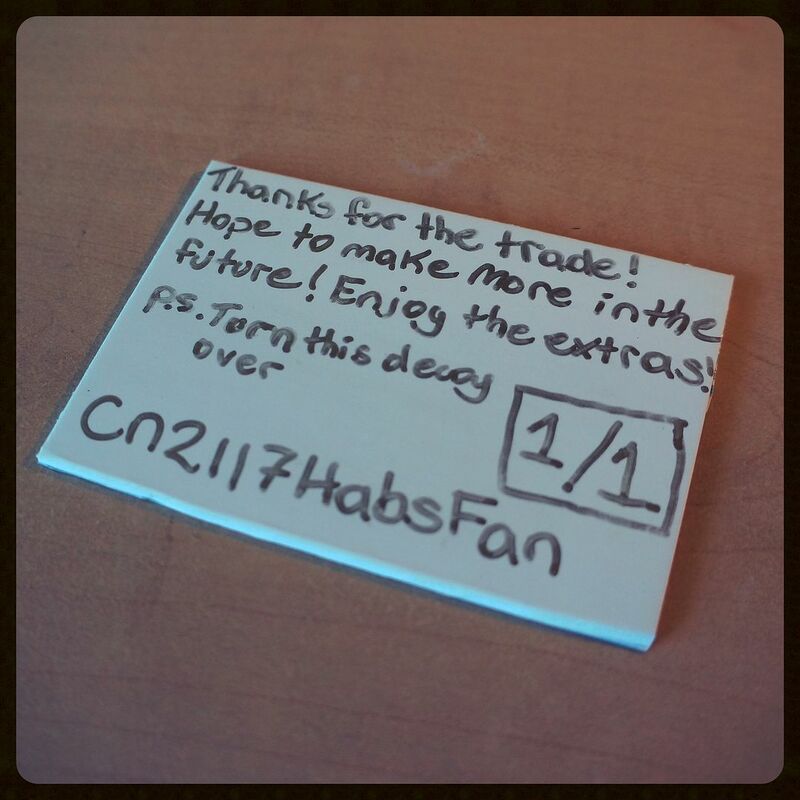 cn2777HabsFan has taken the game-used card idea and put his own twist on it. I love it because not not only is it a fresh idea, but it's one that has been executed very well. The back of the custom card has a hand-written note of thanks regarding the trade that we made. It's appropriately labeled '1/1' as I'm pretty sure there are no other cards like the one he sent to me in existence. If you're interested in seeing more awesome decoys from cn2117HabsFan, check out his Youtube video above. I think you'll be amazed at his work! And if you're interested in obtaining some of his decoys, go ahead and try to work out a trade with him. According to his video, the bigger the trade, the better custom you might end up getting. 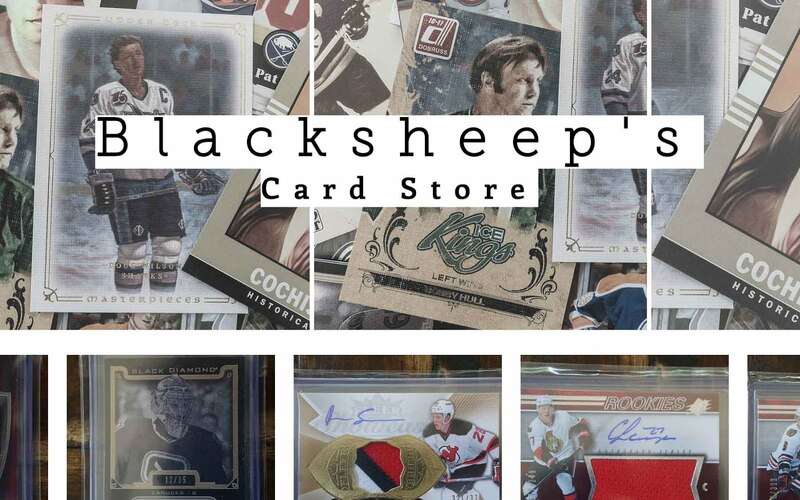 It is totally awesome to see ideas like this from members of the hockey card hobby. If you have or have seen unique ideas, please let me know! I'd love to feature them in future Cardboard Commentaries! 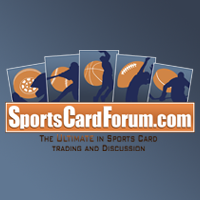 I'd be interested in seeing more custom card ideas, your own hockey blogs or websites, writing that you have written... anything that would be interesting. I'm game for it! Thanks to cn2117HabsFan for allowing me to showcase his customs on The Cardboard Review.